Snack time can often get messy. Our Orchard Apple Rings are the perfectly packaged snack food with no sticky texture, or badly behaved nuts to worry about. Fresh from the orchard, these rings have a soft and comforting chew. This can be a nice change from some of our more crunchy snacks. Apple's are rich in vitamin B, C and antioxidants, and the pectin helps to reduce bad cholesterol. It really is true what they say, an apple a day! 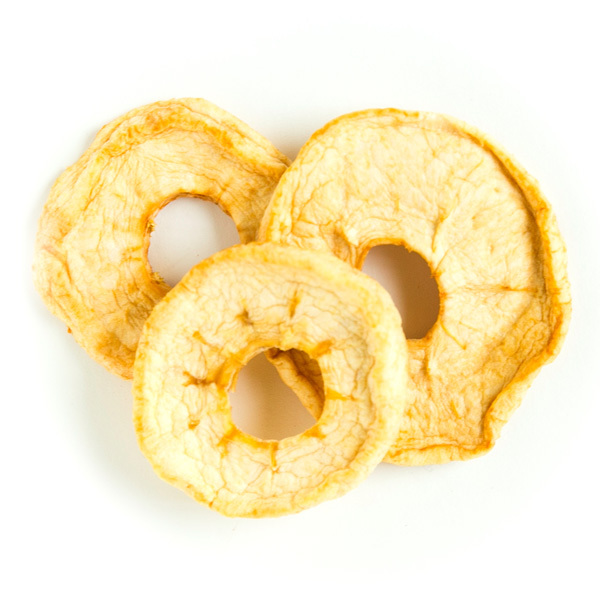 100% sun-dried apple rings. no sweeteners or sulphites added.